David Copeland Sand & Gravel, Inc.
David Copeland Sand & Gravel, Inc. has been serving the Princeton, TX area since 1987. We are a trucking company, providing crushed stone and crushed concrete, utility rock, decomposed granite, select fill, cushion sand, soil, fill dirt, blended soil, compost, mulch and much more. We welcome the aggregate needs of residential and commercial customers alike! For decades, David Copeland Sand & Gravel, Inc. is proud to have maintained a reputation as the local leader among soil, sand and stone suppliers in Collin County, TX. We take pride in bringing our customers a truly exceptional range of aggregate materials, cultivated with care and patience—all at prices that are affordable, competitive and honest. Because of this, we’ve become a trusted partner for landscapers, construction companies, contractors, private homeowners and more who are looking for a trusted aggregate, sand and gravel supplier in Collin County, TX. David Copeland Sand & Gravel, Inc. sets itself apart from other rock, sand and topsoil suppliers in Collin County, TX by going above and beyond to meet the needs of our customers. Not only do we offer uncompromising quality across our product selection, we’re also able to coordinate with you regarding pickup and delivery. Need basic spreading and grading services? We can offer you those too! We do everything in our power to ensure our customers are getting maximum value for choosing us as their aggregate supplier. Stop by today to take stock of all we have to offer and consult with our knowledgeable staff about your needs. 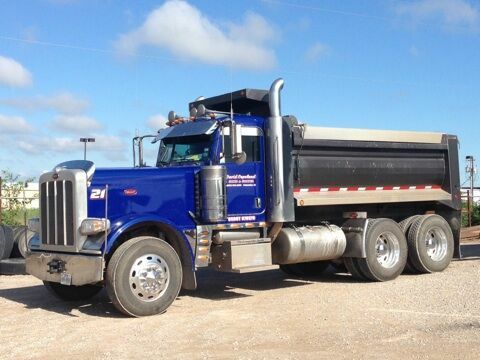 We’ve been serving the sand, rock, gravel and other aggregate needs of Collin County, TX since 1978. We’re proud to be associated with the Princeton Chamber of Commerce and Farmersville Chamber of Commerce. Our business is family-owned, with values of honesty, integrity and excellence backing us. We deliver only the finest quality materials, ensuring our customers are getting maximum value when they choose us. We deliver up to 35 miles from our location in Princeton, TX. Whether you’re building or landscaping, we’re the company to trust for sand, rock, gravel, soil and other aggregate. Contact us today to learn more about the products we offer!